Coarctation of the aorta, a congenital heart defect, is a narrowing of the aorta. The aorta is the largest blood vessel that carries blood from the heart to the rest of the body. Coarctation of the aorta makes the heart work harder to pump blood to the body. The extra work causes the heart muscle to weaken. It can also cause the heart muscle to become bulky (hypertrophy) and stiff. In some extreme cases, coarctation of the aorta can lead to congestive heart failure. This is a condition in which the heart is unable to pump the normal amount of blood to the body. Coarctation of the aorta can lead to higher blood pressure in the arteries in the area before the narrowing. These arteries include blood vessels supplying the head and arms. The pressure is lower in the arteries in the area after the obstruction. These arteries include blood vessels that send blood to the abdomen, kidneys, spinal cord, and legs. Different blood pressures in the upper and lower body can lead to complications, such as stroke, kidney failure and intestinal damage. Coarctation of the aorta forms as the heart is developing. We don't yet know why this heart defect forms. Coarctation of the aorta occurs more often in families with a history of left-sided heart problems, such as aortic stenosis, bicuspid aortic valve, coarctation or hypoplastic left heart syndrome. It also occurs in children with certain genetic abnormalities such as Turner Syndrome. In some patients, coarctation of the aorta can also be diagnosed with other congenital heart defects, such as bicuspid aortic valve, ventricular septal defect, atrial septal defect or patent ductus arteriosus. 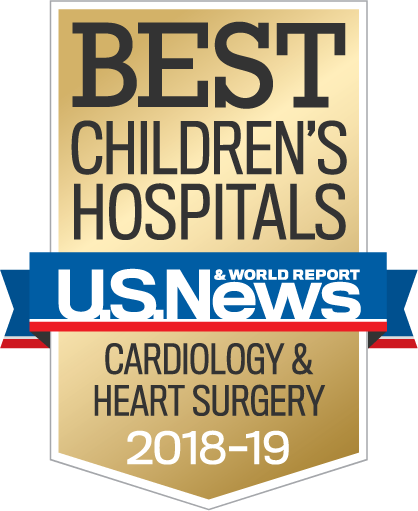 View our pediatric cardiac surgery outcomes. Coarctation of the aorta can be treated with heart surgery or cardiac catheterization. There are many techniques for surgical repair. The exact technique will depend on the degree of the narrowing, location, and associated problems. Cardiac catheterization is generally done on older children. The pediatric cardiologist will evaluate your child's heart and discuss the best treatment options with you. After repair of coarctation of the aorta, most children can be active and participate in sports and physical activities. Regular follow-up visits with the pediatric cardiologist will be needed. The frequency of these visits may decrease over time. Medications may be prescribed to treat problems such as high blood pressure. The risk of coarctation of the aorta occurring again is low, but possible. Adults with coarctation treated in childhood require periodic cardiac MRI or CT to be sure the repaired area has not become dilated or narrow. Further treatment may be needed when your child is older. To make an appointment with a Children's Heart Program physician, please call 410-328-4348.